Humanity is supreme on this earth, regardless of what religion, country, sect or cast you belong, you are human that is what matters. This is what all the social workers believe and help people in their time of need. Mother Teresa, who is world renown and considered the most generous person in our times, accused of converting people into her religion, in India. Well this seems very disgusting when some stereotype and narrow-minded group of people doubt on pious and generous people’s intention. “Mother Teresa's service might have been good,” he added. “But there was a motive behind it – to convert the person being served to Christianity." This outraged many local politicians and activists and provoked angry reactions from people alike. Such kind of accusation is not acceptable on any such person who served humanity for all his/ her life. Her devotion was to serve humanity, help people, and give them good life, rather than to impress them by her deeds and invite them to join her religion. 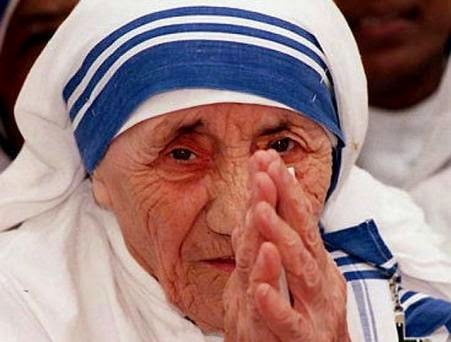 Sunita Kumar, a spokesperson for India’s Missionaries of Charity (MOC), told Independent news agency that she had worked personally with Mother Teresa and that: “In my 50 years with MOC and during that time, I have not seen a single case where people were asked to convert to Christianity. While Local politicians commented on Mohan Bhagwat’s controversial statement, “Bhagwat deliberately made that statement to whip up negative emotions and destroy history.”On the other hand, BJP’s national spokesperson, Meenaksi Lekhi, tried to justify Bhagwat’s comments. “Mother Teresa herself said that 'a lot of people confuse me as social worker, I am not a social worker. I am in the service of Jesus and my job is to spread the word of Christianity and bring people to its fold'," she said. Well this will arouse negative sentiments of Christian community of India, while on the other hand Muslims were also not much satisfied of ruling government. This might lead down BJP into eyes of non hindus in India and may cause harm to its vote bank in next election as well.